I have a carious front tooth. It has also turned black, although I feel no pain. I visited a dentist who suggested I go for a root canal and cap. But I am confused as to why I need a root canal when I do not have any pain. Can you please make a suggestion regarding what to do? For your carious front tooth, root canal with porcelain cap will be the permanent solution. But as you mentioned that you don't have any pain, in that case you can try with a special type of tooth color filling (composite/bonding). My son's age is 5 years. He loves to eat chocolates and sweets. Although he has been in the habit of brushing his teeth after each meal from the age of three, however, the teeth on the upper side of his mouth are affected by caries and already most of the visible part is lost and he complains of occasional pain. How can I prevent the other teeth from caries until he grows permanent teeth? Please give me a suggestion. I think your son is suffering from bottle nursing syndrome/baby bottle syndrome. Nursing bottle syndrome is characterised by children, generally under the age of four who are put to bed with a baby bottle filled, usually with fruit juice or sweetened milk. The pattern is severe decay of the front top teeth. No mother does this on purpose to her child, but it is quite common because mothers simply don't know that the sugar in the bottle can have this effect. There are numerous ways to repair baby teeth, but when baby incisors are this badly damaged, it is usually best to extract them. Baby incisors are not essential for maintaining spacing in the adult dentition, as are the baby molars and canines. This is Mahmood Alam, aged 29. I have bad breath but no caries or gum infection. I brush my teeth after every meal. Why is it still persisting? Is there any other cause? 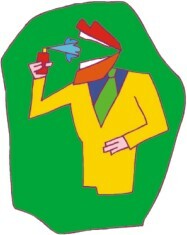 There are several causes for bad breath. Among them more than 60 percent are from oral and dental origin and the rest from other systemic causes such as liver diseases, intestinal problems, sinusitis, pharyngitis, etc. Can you visit your dental surgeon to exclude any oral and dental problems? I am a regular reader of your column and a great fan! I have dental phobia and a fear of dental drilling. I guess it occurred from a bad experience during my childhood. Can dentists assure a painless filling? The reasons people fear attending the dentist are varied and include pain, previous bad experience and fear of the unknown. I believe many dental surgeons in Bangladesh can assure you a painless treatment. Dentistry has come a long way over the years and many of you will be surprised on your next visit. Even if you have put off going to the dentist and are experiencing problems, your dentist has new ways to provide relatively painless treatment. To eliminate the discomfort associated with injections, topical agents are applied to tissues prior to the injection. I am 52 years old and non-diabetic. Which toothpaste and brush is good for my age group? How do we know when it is time for scaling? Will appreciate your comments. Thank you. You can use medium, soft-bristle toothbrush and about toothpaste; it is better not to use the same brand of toothpaste for more than three months. We recommend you go for dental scaling every six months. Gum bleeding, pain, food impaction and hypersensitivity are early signs of gum infection. I have dental caries in my upper front tooth, which is visible. I also noticed morning breath. Can I use mouthwash on an empty stomach? What should I do for the black spot although I do not have any other complains. Yes, you can use mouthwash on an empty stomach. Any black spot means you have dental caries and please go for dental filling. People have all kinds of excuses for not taking proper care of their skin and body. The excuses range from lack of time to rising costs of beauty products. However, it would appear that the solution to their problems has been lying in their refrigerators all along. Cucumbers contain most of the vitamins you need every day. Just one cucumber contains Vitamin B1, Vitamin B2, Vitamin B3, Vitamin B5, Vitamin B6, Folic Acid, Vitamin C, Calcium, Iron, Magnesium, Phosphorus, Potassium and Zinc. Substitute your caffeine-filled fizzy drink for a cucumber. Cucumbers are excellent for hydration because of their high water content. Now that summer is in full force, they might be just what you need to replace the fluids you lose from all that sweating. Tired of your bathroom mirror fogging up after a shower? Try rubbing a cucumber slice along the mirror. It will eliminate the fog and provide a soothing, spa-like fragrance. Cucumbers are a known 'Grandma's secret' for all kinds of skin problems. Blended cucumber can do wonders to blackheads, wrinkles, dry skin and pimples. Mixing cucumber juice with milk also acts as a natural cleanser for your skin. Due to the presence of caffeic and ascorbic acids in cucumber, they are often helpful for burns, dermatitis and swollen eyes. Cucumber is an amazing natural diuretic. Cucumber helps in urinary and bladder diseases and can help prevent pancreatic diseases. The potassium in cucumber makes it highly useful for conditions of high and low blood pressure too. So, the next time you feel you are short of time and in need of a quick fixer, just remember to be 'as cool as a cucumber' and you'll find your answer!